No more fingerprints, dust and debris on your optical lenses! This small, lightweight cleaning pen with a unique non-liquid invisible carbon compound removes fingerprints without damaging the surface and never dries out. 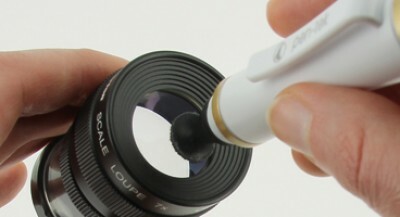 Perfect for cleaning binocular lenses, eyepieces, digital cameras, cell phones and other optical items. For more details please check the Pen-tek leaflet and watch this video.